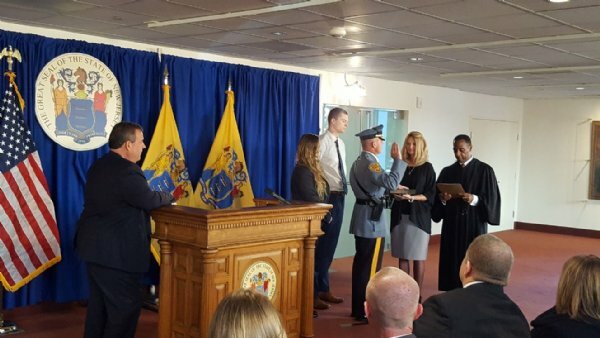 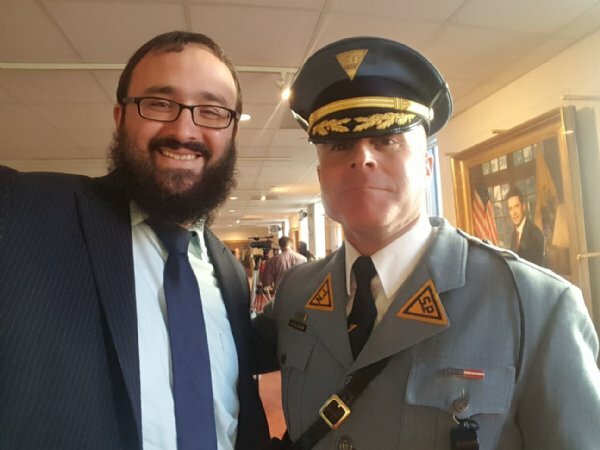 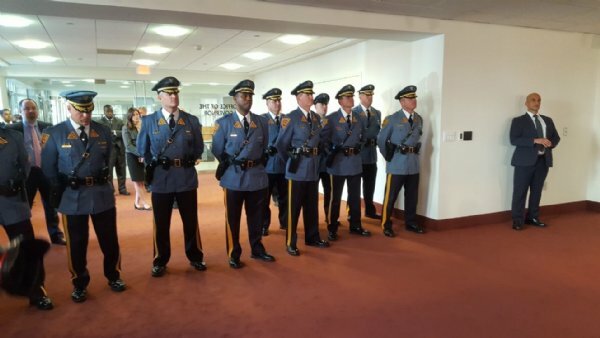 Chabad Rabbis Invited to Swearing In Ceremony of new NJ State Police Superintendent As Colonel Pat Callahan was sworn in as the new Superintendent of the New Jersey State Police, he thanked his clergy pastor and welcomed the Chabad Rabbis in attendance. 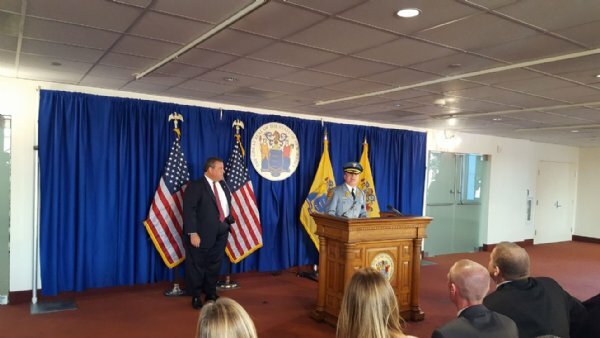 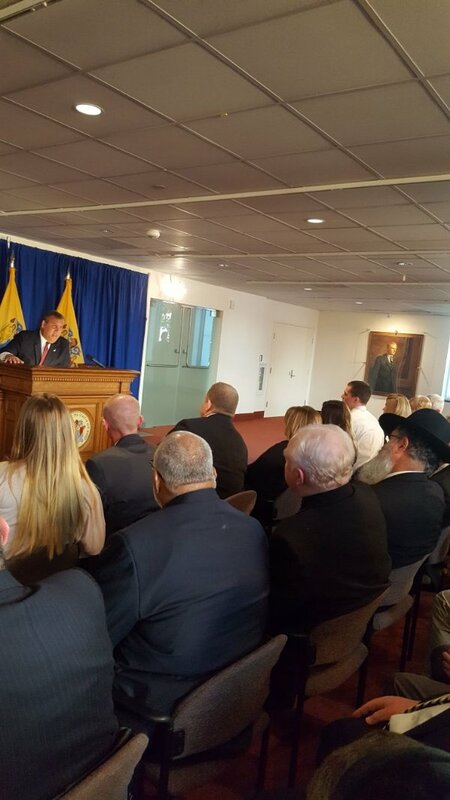 NJ Governor Chris Christie addressed the Swearing In Ceremony, in the Governor's Office in Trenton, N.J. on Tuesday, Oct. 31, 2017. 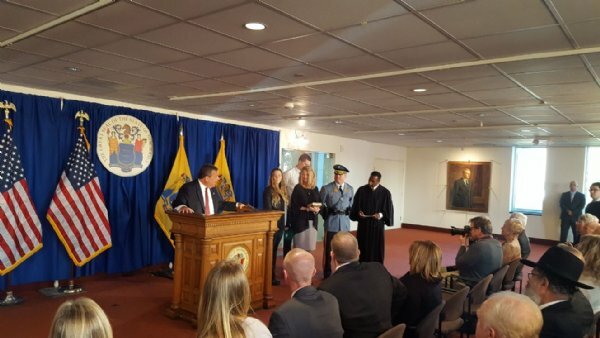 Superintendent Callahan was joined by his wife Linda Callahan, son Ryan Callahan and daughter Carrie Ann Callahan. 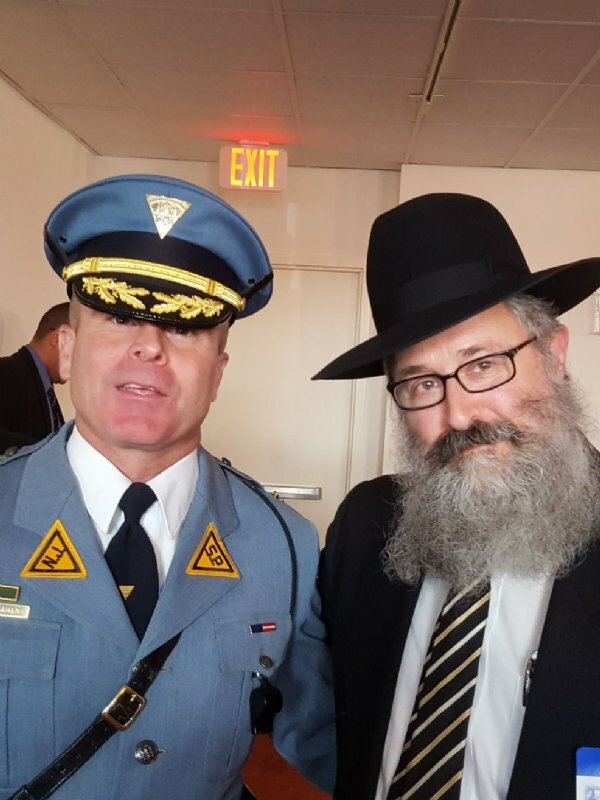 Rabbi Yosef Carlebach, Founding Rabbi of Chabad House at Rutgers University, and Chaplain of the NJ State Police, and Rabbi Mendy Carlebach of Chabad of North-South Brunswick, and Chaplain of the Port Authority of NY-NJ Police Dept were invited to participate in the Swearing In Ceremony.